Sometimes the very thing you’re looking for is right in front of you. Wetin you dey find for Sokoto, e dey inside sòkòtò. 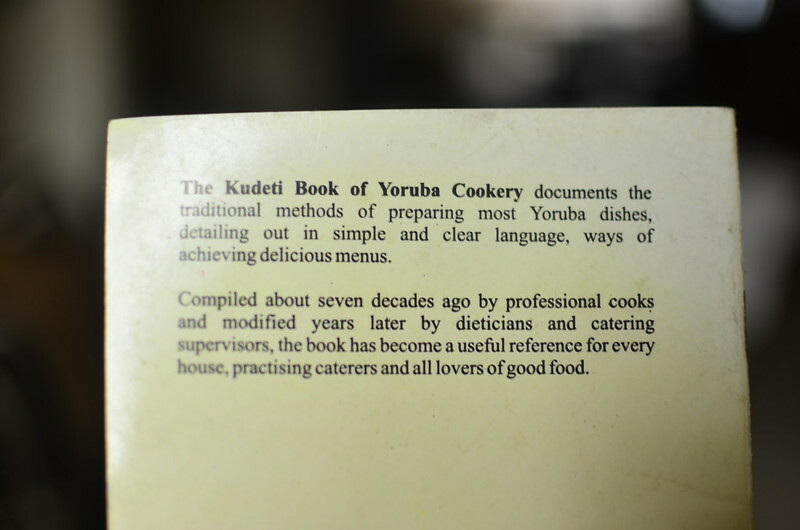 Four years ago, I came across a reference to one of the earliest Nigerian cookbooks ‘The Kudeti Book of Yoruba Cookery’. The first place I searched for it was on Amazon UK. Then Amazon US. Then Canada and Japan and every Amazon store from here to Timbuktu. Except I’m not sure they have an Amazon store there. Then on to Good Reads and…and all nothing. With ever search conducted over 2 days, my desperation increased till it reached fever pitch. And now I don’t remember what and how but something led me to the publishers. And you can tell that this has a happy ending, right? Could you tell that from the start? Probably. On I go with my story. 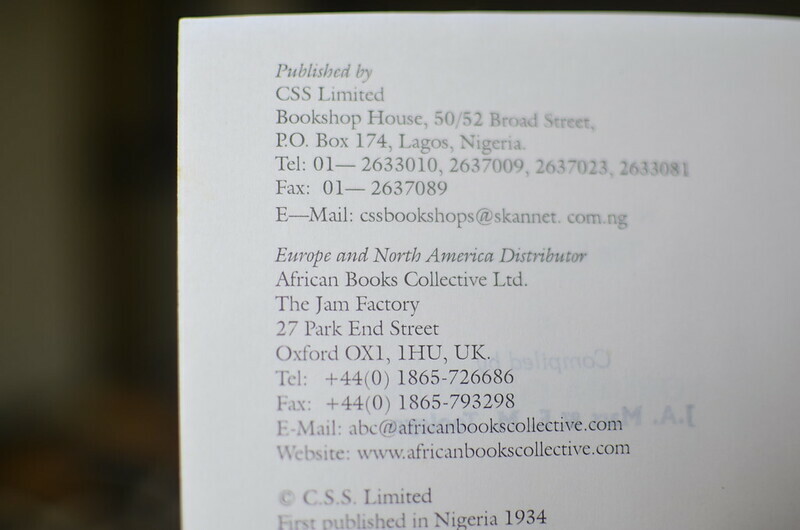 And so I found out who the publishers were – CSS. Formerly CMS. Located off Broad Street, Lagos Nigeria. I found their website. And a phone number and I can’t describe the excitement I felt when someone picked up the phone at the other end. A lady. Who informed me that ‘Yes, they had the book. And it was a hundred and fifty naira’. Do you know what that is, ladies and gentlemen? That’s just over half a US dollar. I ordered 10. And had them sent to me in Port Harcourt. After I paid by bank transfer and the transaction was confirmed and concluded. 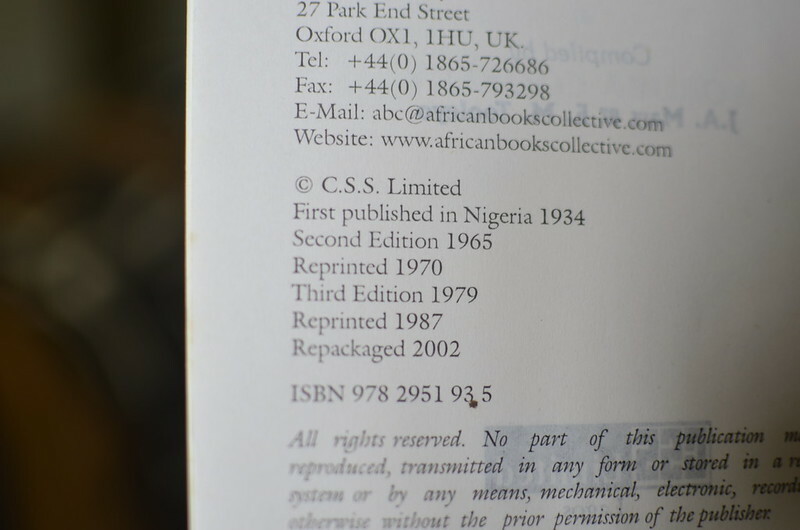 It has undergone 2 revisions – in 1965 and in 1979. When I was a toddler still. 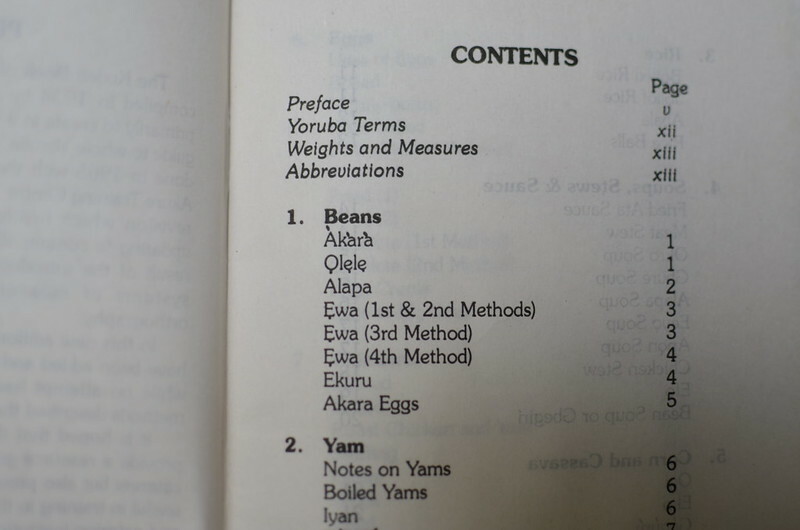 The third revision addressed measurements in a bid to modernise it with metric measurements and Yoruba orthography. It is a small book, just under 60 pages with 11 sections that begin with ingredients – Beans and Yam and ends with Breads and Flours. 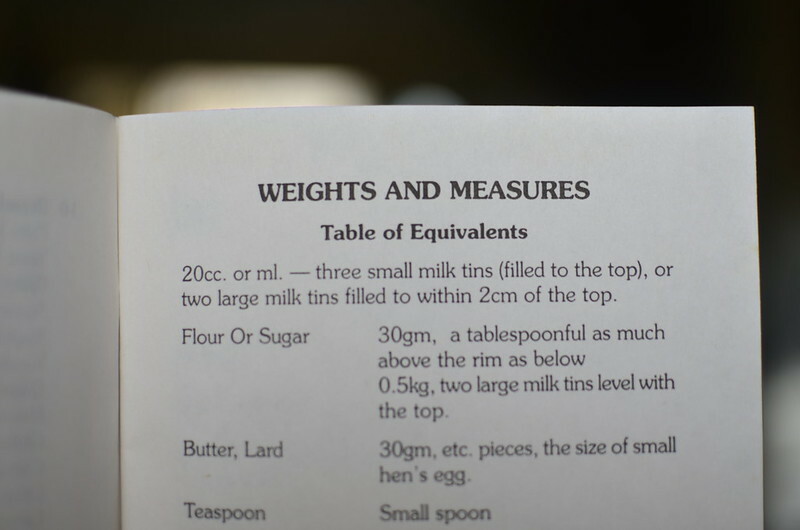 The text is a mixture of recipes complete with measurements, serving sizes and methods; and techniques. Some recipes are familiar – Akara and Olele. But then the variations are interesting. Akara eggs – made with whole boiled eggs. Àlápá blended with egusi and steamed in leaves. There are notes on cooking yams preparing fresh chickens and some ‘Western recipes’ – for lime cream and gravy. 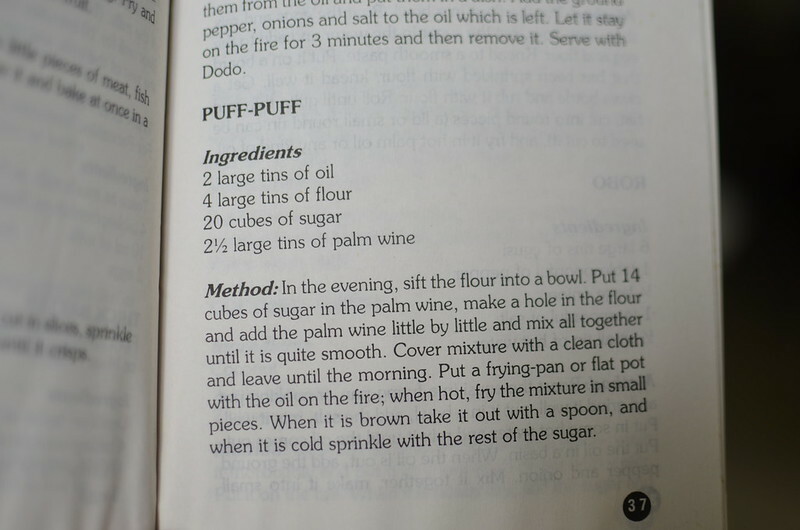 There’s an awesome recipe for puff-puff using palm wine as the liquid and raising agent instead of yeast that I so want to try. 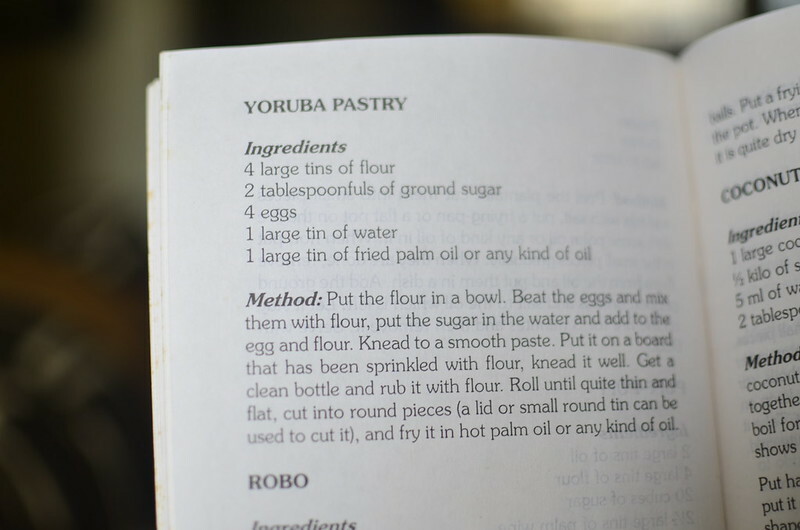 I’m not sure how the Yoruba pastry will turn out but I’d love to give it a go. 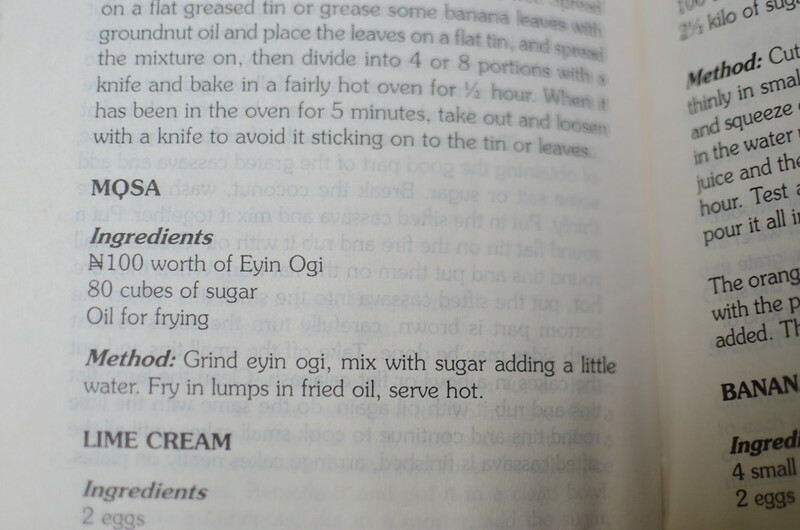 In spite of being metric, you’ll find some funny references in the ingredients list, like 4 basins of elubo and N100 worth of Eyin Ogi…but still it is a great book. As a historical document, as a gateway to some Yoruba recipes and as a lesson, sometimes that thing you seek is near you. Right under your nose. Wow!! Thanks, Kitchen Butterfly! I’m so getting this book.